M-Corps is America’s first program to help cleantech startups manufacture and get to market faster. Funded by NYSERDA, SecondMuse and Rochester-based NextCorps are working with promising startups across New York State. 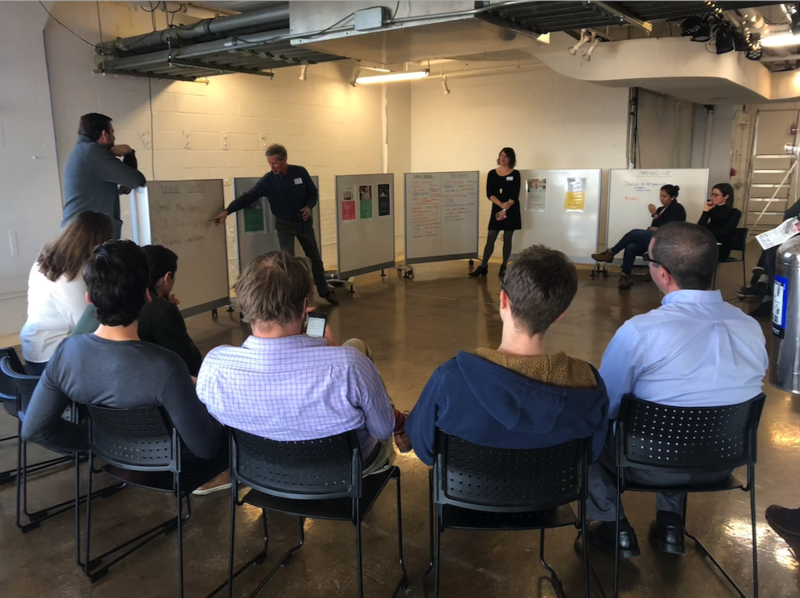 Our reflection of the first two days of M-Corps onboarding at New Lab focused on how to produce connection, trust and altruism, which is the baseline of SecondMuse’s approach to building 21st century economies. On the final day of onboarding at Pratt Institute’s Brooklyn Fashion + Design Accelerator, we switched gears to dig into the manufacturing tools available that help startups level up from prototype to production. These included a Manufacturing Readiness Level (MRL) assessment, and SecondMuse’s Production Scale Up Roadmap (PSR). The first is the Department of Defense-developed MRL Assessment document that requires both a self-assessment and a certified consultant’s assessment. For M-Corps, we used an MRL that was customized for cleantech startups by our upstate partners, NextCorps. It’s a small-but-very-detailed form that forces founders to be honest about all the essential parts of their product and process. For instance, you might know what materials you think you need for your product, but have you researched the materials properties or any special handling that material may require? Or confirmed that the properties match your product needs? Assessed whether the materials can be put through the rigors of manufacturing? And that your materials’ supply chain takes into consideration shipping and handling costs, lead times, tariffs, or companies who are competing for your resources? The DoD’s MRL asks all these questions and 100 more. It’s all online, but as we all know, bowling alone is no fun and very difficult. 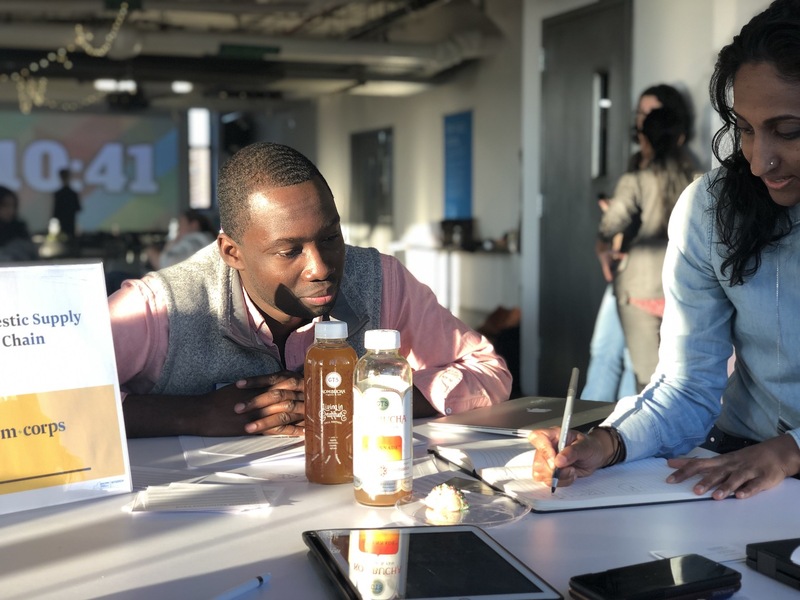 For M-Corps, we teamed up with Dan Radomski of the Lawrence Technological University Collaboratory to evaluate our M-Corps startups’ MRL scores and have one-on-one convos. During each session, Dan assessed the company’s MRL, talked through questions, established priorities, pain points and potential solutions. Key takeaways from these sessions included an overwhelming need for more documentation. Through proper documentation of process, our companies will be more prepared for all stages of manufacturing – from in-house assembly of a beta unit to low-run assembly, to scaling up to larger deliverables. Additional suggested areas of focus include understanding risk assessment of supply chain and failure modes that may adjust the timeline, sustainable auditing practices, addressing design for manufacture changes, and developing a proper Bill of Process (BOP). While each company’s needs and MRLs are different based on their product, having this uniform tool with a level-matrix of achievable goals is essential to get their product to market. The MRL deep-dive and consulting forced companies into honest introspection and also gave our cohort a common language to talk shop. During Day 3 of onboarding, we saw a complete transformation in how the cohort engaged with one-another around their new baseline. All companies are in some way affected by certification requirements for their product (or at least a component of it). Others shared that they are nervous, but excited, about diving into an assembly strategy and sharing that with their peers for feedback and assistance. There was no shortage of a shared need for an affordable and reliable ERP system and when to implement it. In addition to the DoD’s MRL, SecondMuse created the Production Scale Up Roadmap for founders to hone in on their 2019 Q1 priorities, action items and supporters who could help hit their targets. 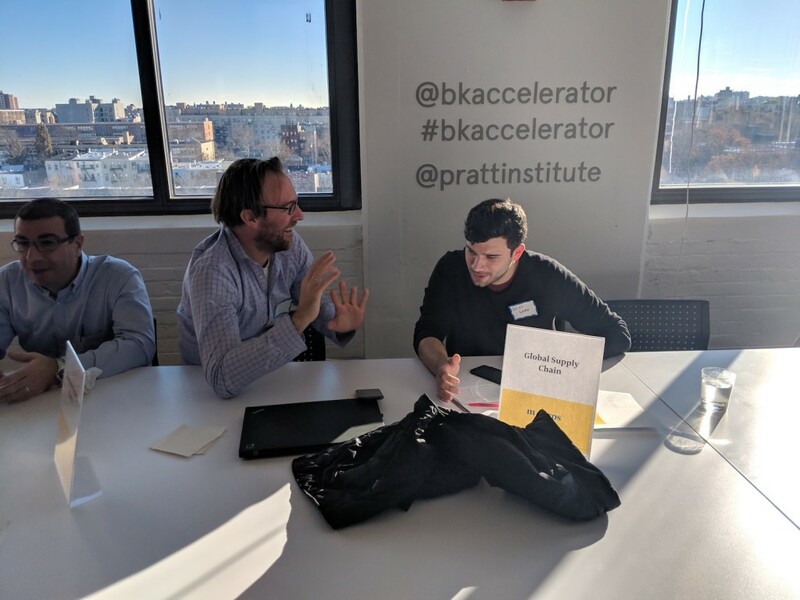 Throughout the afternoon at BF+DA, companies and M-Corps mentors paired up to talk through needs clarified by these tools and to identify arenas of collaboration. For instance, NYCEDC’s Stacey Weismiller and Inventaprint’s Rich Mokuolu will work with Biolite to streamline supply chain management and perfect supplier agreements. Former littleBits Director of Hardware Engineering Geof Lipman is advising Enviro Power on design-for-manufacturing iterations for components of their smart boiler. The PSR is a tool SecondMuse will use throughout the duration of the program to maintain a strategic path for each company. With clear goals and priorities outlined quarterly and annually, we can hold them accountable for meeting their 2019 timelines and assist each step along the way. The PSR also allows common themes from the MRL sessions to present themselves more easily. With this knowledge, we can pair companies who are focused on solving the same problem with the right mentors and manufacturers to work through it together. Read more about M-Corps as well as NYSERDA’s portfolio of initiatives. In January, SecondMuse continued its newest series of hardware startup support. This session focused on Supply Chain Strategy at New Lab in Brooklyn Navy Yard. NYCEDC’s Stacey Weismiller and Inventaprint’s Rich Mokuolu lead attendees through an essential presentation on sourcing and production. 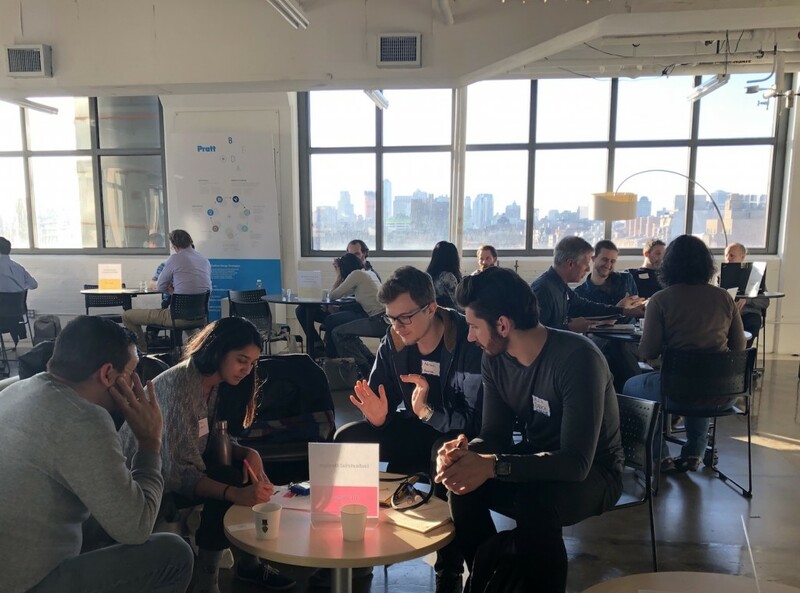 On Wednesday, March 6th, the SecondMuse team brought together startups from its two NYC-based manufacturing programs – Futureworks Incubator and M-Corps – for another session in the M-Corps workshop series. Hosted by M-Corps partner New Lab in the Brooklyn Navy Yard, this workshop focused on Quality Assurance (QA). In January, M-Corps launched the first manufacturing workshop in a series that will stretch into 2020. At Urban Future Lab, we kicked off with Manufacturing 101: Talking to Manufacturers, a panel discussion with local experts and moderated by SecondMuse Senior Director Katey Metzroth.